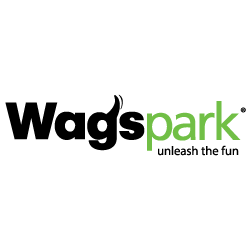 Wagspark is a 3 acre full service private dog park featuring 2 spring fed lakes with dock diving, agility, a splash zone, and a 21 by 13 foot screen for entertainment, sporting events and movies. The park offers a wide range of services, including doggie daycare, training, grooming, etc. All canine entries require a 10 to 15 minute temperament test to ensure that your dog will enjoy the company of other playmates. You’ll also need to provide proof of up-to-date vaccinations as well as spaying or neutering. * We enforce these high standards of admission to help protect members’ dogs and ensure that everyone enjoys a safe, relaxing time together. Wagspark also features a full-service bar, complete with a wide ranging craft beer selection, curated by our sister property the GrowlerStop. Pet Stop, Wags Park and Wags Park Daycare, divisions of Slatts Group, LLC is growing businesses located on Church Street in Newtown is now hiring for a full-time Office Clerk! All training is provided. If you are looking for a great team to grow with apply now!